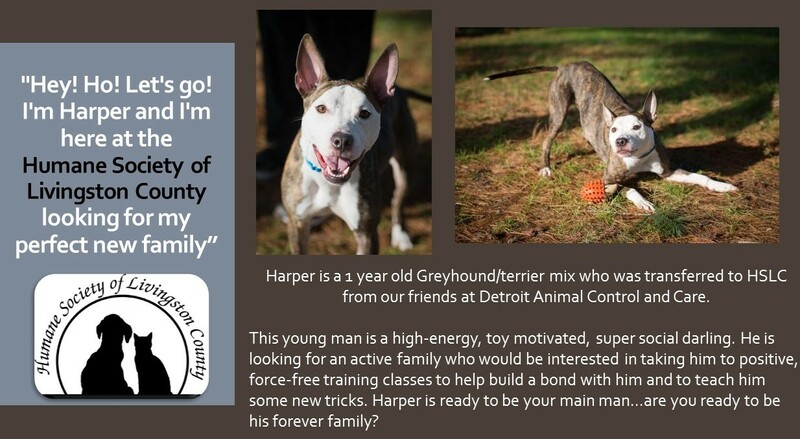 PET OF THE WEEK: Harper the one year old Greyhound/Terrier Mix. 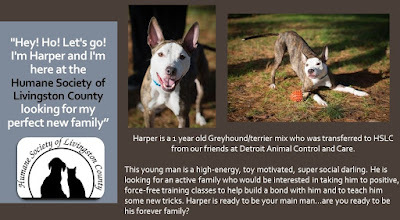 If you have questions or are interested in making your home Harper's forever home, please contact Humane Society of Livingston County at 517-552-8050. To view all of the Brighton Ford Pet's Of The Week visit our website today.